Description : The UAC's research into plasma physics was not confined to just weapons development. Portable, self-powered tractor beam technology is a must for spaceflight docking procedures. Making this technology even more portable was of extreme tactical benefit for space marines in zero-G evac boarding operations. 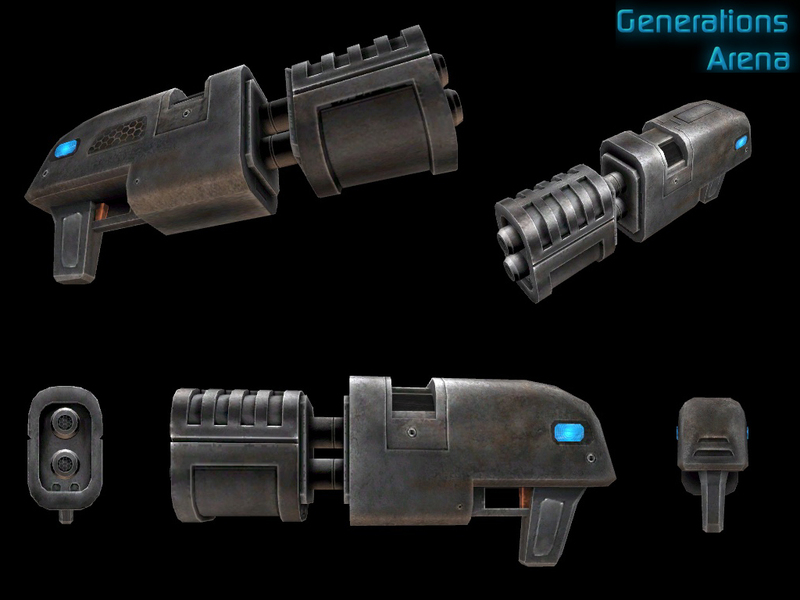 This tractor beam gun locks quickly and enables swift movement in any direction so long as the weapon is deployed. Special Features: Increases apparent mass of other players, severely slowing their movement. Pulls other players in while slowly inflicting damage. Can dislodge players grappled to walls.